MALAWI’s President Bingu wa Mutharika is a man under siege. Only a few weeks out of a costly diplomatic standoff with Britain in which the latter swiftly effected a freeze on crucial aid to the country, the beleaguered president faced vicious riots at home in the last half of July as Malawians vented their frustration with the high cost of living and shrinking civil liberties. 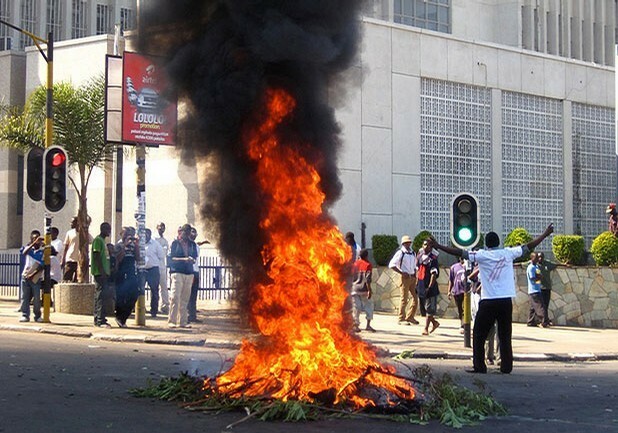 The riots of 20 July, which rocked the capital Lilongwe and the northern city of Muzu as hordes of protesters set up barricades whilst some looted shops, exploded from a tinderbox of economic and political frustrations that have been brewing in this characteristically stable country for a while now. 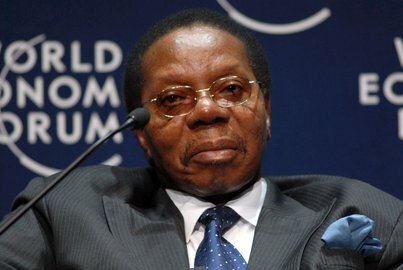 According to Malawian historian Paul T. Zeleza, the immediate causes of the growing popular disaffection include the government’s growing authoritarianism and arbitrary power as reflected in the passage of harsh laws against civil liberties, and worsening economic mismanagement as manifested in shortages of fuel and foreign exchange, power outages, rising unemployment and inflation. Zeleza also said Malawians were angry at Mutharika’s dangerous mobilisation of ethnicity as evident in the redistribution of jobs in the public sector to favour people from his ethnic group. The president has also railroaded his Democratic Progressive Party (DPP) to endorse his brother Peter, a former law professor in the US, as the party’s candidate in the presidential succession after Mutharika’s second term ends in 2014. Often accused of ineptitude in controlling crowds and using disproportionate force to break up demonstrations, Malawi’s police force went for overkill – literally – in their efforts to disperse protesters over the two days of rioting. Although human rights activists concede that there were pockets of violent rioters armed with stones, they blamed the police’s use of excessive force for the deaths of at least 19 people. Analysts say the government provoked an already tense situation by applying for an injunction to prevent protests the night before they were scheduled, leaving organisers with the impossible task of conveying the message to all participants. When the riots broke out the following day – 20 July – the government used its court injunction to declare the strikes illegal and thus legitimise its heavy-handed response. Mutharika’s response to his countrymen’s growing disaffection with the economic hardships is that it was the IMF that had ordered the government to liberalise oil importation and the foreign exchange system, and leave them in the hands of the private sector. But there is widespread belief that Mutharika’s government is itself extravagant and refuses to accept self-sacrifice and austerity measures on itself to cut expenditure. When Mutharika came to power in 2004 Malawi was experiencing serious food shortages which by 2005 had become a full-blown famine. As he had promised during his presidential campaign, once elected, he defied donors by implementing the most generous subsidy programme Malawian farmers had ever seen - the $74m Farm Input Subsidy Programme (FISP). Under the scheme, the government doled out bags of fertiliser and hybrid seed to maize farmers, with the budgeted subsidy increasing year by year. The subsidy programme has been hailed as a regional success story. It has also earned Mutharika electoral capital as it has favoured small farmers, pulling many of them out of chronic food insecurity and saving the country money on its imports bill. In four years, maize production doubled and national food self-sufficiency increased substantially. Donor concerns with the programme’s sustainability centred on the increasing amount of gross domestic product that it is taking up and the volatility of both maize and fertiliser prices, as well as recurrent droughts. However, despite their initial opposition and lingering reservations, donor countries - including the UK and Norway – gave their support. However, all this has now changed drastically following Mutharika’s expensive confrontation with Britain as well as the fallout from the recent riots. In April this year the Malawian government expelled the British High Commissioner in the country, Fergus Cochrane-Dyet after Cochrane-Dyet angered the Malawi government by describing Mutharika as ‘a combative president’ who is increasingly becoming ‘autocratic and intolerant of criticism’ in a leaked memo. ‘The governance situation continues to deteriorate in terms of media freedom, freedom of speech and minority rights,’ the British envoy said in a leaked cable which had been sent to Foreign Secretary William Hague. In retaliation for what he called the ‘totally unacceptable and unwarranted’ expulsion of the British envoy, Hague also expelled Malawi’s acting High Commissioner and her dependents from London. ‘It is a worrying sign that the Malawian Government is expending its energies in this way, rather than focussing on the real and substantial challenges facing it, including the need for improved governance,’ Hague said, announcing the Malawian envoy’s expulsion. He said he had also ordered officials ‘to review rapidly the full range of our wider relationship with Malawi’. Britain announced a month later that it was freezing aid worth $550 million over the next four years as a result of the diplomatic fallout. In June, it froze its financial support for Malawi’s fertiliser and seed programme. It has been a rough year for Mutharika. In March, the country lost more than $400 million in aid money when donors, including Germany, Norway, the World Bank, African Development Bank, and the European Union, suspended or ended their budget support. Britain, Malawi’s former colonial master and the country’s biggest donor, $31m in budget support for 2011. The latest round of aid freezes has come courtesy of the government’s murderous response to the recent riots. The American aid agency Millennium Challenge Corporation (MCC) on July 16 unleashed its own body blow to Malawi’s depleted coffers by freezing its $350m accord with the troubled country. Up to 40 per cent of Malawi’s national budget comes from foreign aid. Malawian officials have remained silent over the latest round of aid suspensions, AFP reported, adding that the silence of senior officials on the issue of MCC’s pullout says much about the prevailing political condition in the current administration. ‘Under Mutharika’s tightly controlled administration, ministers rarely dare speak out until the president himself has commented,’ the agency added. Malawi has an entrenched tradition of strong presidential rule as established by Mutharika’s two predecessors, founding father Hastings Kamuzu Banda and recent past leader Bakili Muluzi. The Malawian media has laid into Mutharika for costing the country critical support from donors, with the Daily Times newspaper saying in its editorial that Malawi ‘needs every penny its partners pledge to help… This is particularly so now when the country’s economy is teetering on the brink of collapse under the heavy burden of the twin fuel and forex shortages and electricity outgages. Good leaders are discerning and read the writing on the wall and then do the needful,’ the newspaper added. Defiantly, Malawi passed a ‘zero deficit’ budget in June which proposes to finance all public recurrent expenditure using its own domestic resources without any recourse to either domestic or foreign borrowing or cuts in public service delivery. The jury is still out on just how Mutharika intends to plug the foreign aid gap in his coffers. Serving his last term, which expires in 2014, Mutharika is not in danger of being ousted from office. Spirited though the riots were, it is not likely that a resurgence of popular anger will drive him out of power before his due date. The country’s civil society activists have been shaken by the state’s violent response to their protests, with some of their leaders having gone into hiding after Mutharika’s seething accusations of treason against them. The Institute of Security Studies in Pretoria, South Africa, says Malawi’s opposition parties have not been able to garner significant national support to effectively challenge the government. ‘While they may be able to boost their positions relative to the ruling party by forming coalitions, many opposition leaders are unwilling to accept an inferior position in an opposition,’ the Institute said, adding that there was also an overall sense of disenchantment with the all parties in the political arena, who are perceived as being distant and unresponsive to the concerns of voters, beset by a lack of accountability and transparency and lacking democratic credentials between and within parties’ internal structures and practices. The Vice President, Joyce Banda, who Mutharika fired from the DPP last year but remains in her government job owing to Malawi’s constitution, has just formed a new party called the People’s Party with the support of DPP defectors. She had previously been touted as a possible successor to the 77-year old president and it remains to be seen what impact she will have on voters in the coming months.